Jan English-Lueck is a cultural anthropologist who is a leading expert on one of the most unique habitats and tribes in the world—Silicon Valley and the people who live and work here. 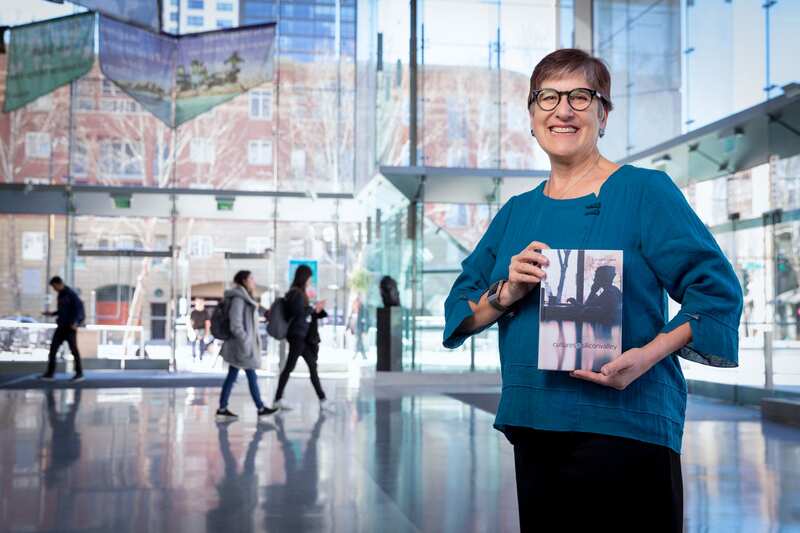 For nearly three decades, she has studied Bay Area families as part of the Silicon Valley Cultures Project, co-founded with colleagues James Freeman and Chuck Darrah. “The senior faculty in anthropology saw something happening here that they thought was worth tracking,” she says, of their recruitment in the early 1990s. English-Lueck joined SJSU in 1991, the same year the “world wide web” was launched to the public and the internet was opened up for commercial use. She spent 2,000 hours gathering data that was eventually compiled into her 2002 book cultures@siliconvalley, which was updated and re-released in 2017. Her scholarly work has taken her around the world to study other tech hubs–Chengdu in China; Taipei in Taiwan; Christchurch in New Zealand, and as a Fulbright Scholar in Hong Kong. Named SJSU Outstanding Professor in 2004, English-Lueck is dedicated to providing her students with practical experience. Her next research project? She is planning to return to Burning Man to learn more about the value systems of Silicon Valley technologists that will inform an upcoming book. The President’s Scholar Award recognizes a faculty member who has achieved widespread recognition based on the quality of scholarship, performance or creative activities. This year’s winner comes from the College of Social Sciences. She will be honored at the 20th Annual Faculty Service Recognition and Awards Luncheon on March 21, 2019. Tickets are available for purchase.